Bad news first appears on Twitter these days. At 5.45 pm on Thursday, a tweet with a gloomy ring to it informed India that “no response has been received for the Expression of Interest floated for the strategic disinvestment of Air India.” Manifest in the debacle are humbling, instructive lessons, a reality check on the urgent need to deal with sick PSUs and haemorrhaging banks. Lesson number one is that timing is critical—in politics and economics. 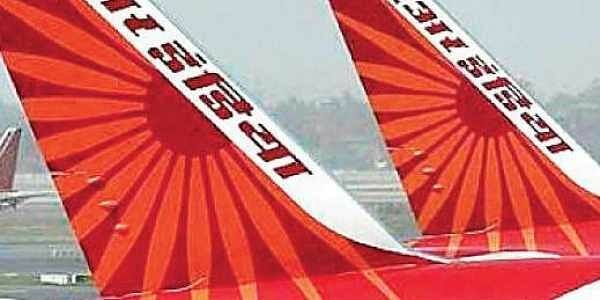 In 2000, the Atal Bihari Vajpayee government had put both Indian Airlines and Air India on the block. There was a queue of bidders. The foreign partners of Indian bidders included Singapore Airlines, Lufthansa, British Airways, Qantas, Delta and Air France. The expected realization then: Rs 10,000 crore plus. The second lesson is to recognise that when disposing of sick assets the seller is in a buyers’ market and needs to be flexible with a playbook of options. Why not offer an alternative approach? Trifurcate Air India into three entities, into international, domestic and low-cost airlines, and put them in a holding company. Park say 33 per cent of the shares of the holding company in an ETF and offer them to employees and the public at large so they profit from future gains—maybe the money raised could help mitigate debt. Now let the buyers bid for all or one of the entities. Let the buyer choose the fit. Let the ETF have a seat on the board. Give the buyer explicit freedom to restructure. Decide whether Air India must fly or be grounded in commas and semicolons. The third lesson is that the Air India debacle represents everything that is wrong with the policy on PSEs. Just like Air India, there is a parade of companies with persistent losses. The Public Enterprises Survey 2016-17 shows that between 2007-08 and 2016-17, the number of PSEs making losses went up from 54 to 82—and the total losses over the ten-year period are a whopping Rs 2.23 lakh crore. The fourth lesson is that public enterprises are making losses or losing market share in every sector where they are in competition with private entities. The story is spelt out by the list of top 10 profitable and loss-making entities. The top ten profitable companies are near monopolies or operate in monopolistic conditions—the petro and power giants. The top ten loss makers include Air India, BSNL, MTNL, SAIL et al. The survey admits: “Many CPSEs that did not evolve with liberalization and opening up of the economy lost ground very quickly to private companies.” Take Air India’s case. As early as in 1950, the Air Transport Enquiry Committee had said air transport was a highly technical industry and that “slow and rigid bureaucratic methods are unsuitable to the needs of the air transport industry.” The advice was binned. It was all well till the government had a monopoly of the skies. Thereafter it has been a series of Maydays. It is not just aviation. Take MTNL and BSNL, public sector telecom units, for instance. Each has been on the loss-making list for the past three years, toting up losses of Rs 25,667 crore. The saga of public sector banks is well documented. Eleven of the 21 PSBs are in the ICU, needing what the RBI calls prompt corrective action. The fourth-quarter losses of PSBs are over Rs 50,000 crore, and bad loans nearly Rs 9 lakh crore. The fifth lesson is that it is not enough to have lists. In March 2016, the government decided to “fast track strategic disinvestment” of 24 Central PSEs. HPCL, number 23 on the list, was the only one disinvested—to ONGC, which must borrow to pay. Similarly, the government listed GIC and NIA, where the bulk of issued shares were subscribed by LIC. For years governments have squeezed investible funds from PSUs via buybacks, special dividends and bonus debentures to bridge the gaping holes in the budget. Privatisation (and disinvestment) cannot be the government’s go-to ATM when it runs out of money. Finally, the critical lesson is the need for clarity on the role of government in business. Privatisation must be anchored to a strategy, an article of faith on what the government must and what it must not be involved in. It cannot be based on perpetually changing delusion on what is revivable, sick, and strategic. For decades, taxpayers have asked: must the government operate hotels and airlines, or manufacture condoms. The moot point is must the government own all that it owns, and must it manage whatever it decides to own? Why not transfer the ownership of PSEs to a sovereign fund, something like a Temasek. Why not divest in tranches what it does not want to own, using the Maruti formula, and corporatize and professionalise what it must own?